It is clear that a reliable metal manufacturer and fabricator is one of the most important requirements in the procuring position for our clients today! The “Get It On Time” commitment, has been developed and is implemented throughout our whole organisation. For over 35 years we have been focusing and honing our core strengths. The quality of our products. The experience of our people. The consistency of our offering. The clarity of our communication. And of course the calibre of our service. Such is our commitment, we intend to apply this ethos to everything we do; not just delivering your metal products to your site precisely when we said we would, but right across the board. You will get your estimates on time. We will respond to your queries and requests on time. We will arrive at all meetings and site inspections on time. We will even answer the phone on time. Measuring and monitoring systems are in place so our performance is being regularly analysed and developed to advance our reliability. 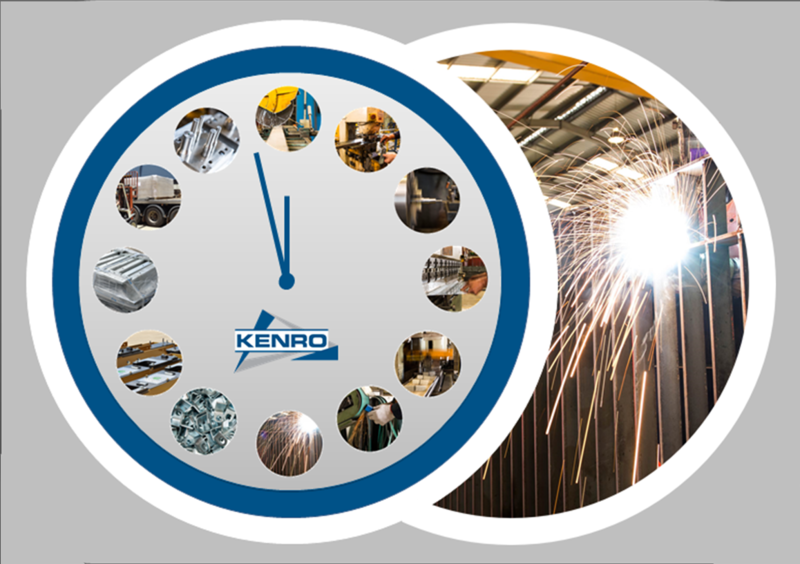 The Kenro team are wholeheartedly committed to doing everything we can to ensure you have a Reliable, “Get It On Time” experience. Put us to the test today and help us to continue to improve! J. D., Managing Director, Davbridge. Call us now 07 4699 9888.